I get most of my story reading through listening to podcasts. I listen to a lot of fiction podcasts, on my commute, while I’m cleaning, while I take a trip to the grocery store, while I’m exercising. I listened to 503 stories in podcast form that were published in 2015, and I’d like to share a list of my 15 favorite stories. For the purposes of this list, I excluded stories that I wrote (because I can’t be a fair judge of my own work compared to others), and stories that I heard in audio before 2015 (because reprinting in podcasts is common, and I don’t want one wonderful story to consistently dominate the lists, rather than share something new with listeners). The list includes some stories that were first published in some form before 2015, but as long as they were published/republished in audio in 2015 and it was the first time I had heard the story in audio, I considered it for the list. I hope you enjoy the list. Feel free to post your favorite stories of 2015 in podcast form or otherwise in the comments. 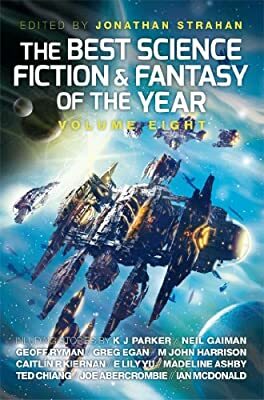 If you like the stories I’ve picked here, you might want to check out my Best Podcast Fiction of All Time from last year or my podcast fiction spotlights posted here on SF Signal last year, or my numerous Best Of podcast fiction lists on Diabolical Plots. Both the story and the interpretation are superb. “The Way Home” by Linda Nagata from Lightspeed was the one I found most memorable last year.